Made by WMF - Production at our own WMF plant in Heshan. Design: Luca Casini. 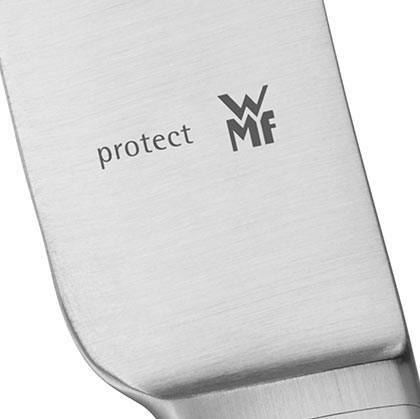 At first glance, the WMF Flame cutlery appears quite delicate. Of course it is not, however, its slim and graceful shape is an eye-catcher. The fine knives with their forged and emphasised, long blades ensure long-lasting cutting performance. 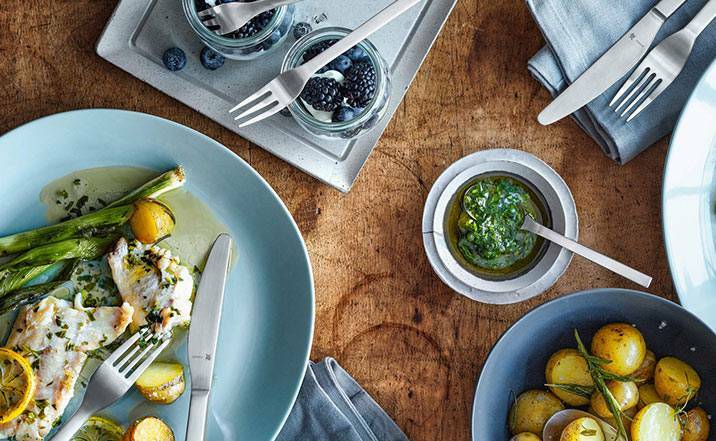 The length of the cutlery is above average, and thanks to its graceful shape it is pleasantly lightweight. Polished and yet with an understated elegance, Flame will enhance any table setting - and since the range of items is quite extensive, the table can be sizable.